Toronto Maple Leafs and the 21 Free Agents Part 1: Who to Keep? They say that you can never have too much of a good thing, but for the Toronto Maple Leafs that may not be true. For the Leafs, this season is the final year on twenty-one players’ contracts, leaving the team with many tough decisions to make either during or after this season. Nine of the twenty-one players are Unrestriced Free Agents with the most notable being backup goalie Jhonas Enroth and defencemen Roman Polak and Matt Hunwick. This leaves the Leafs with twelve Restricted Free Agents, with a number of young talent the team must make decisions on at some stage. Zach Hyman, Connor Brown, Antoine Bibeau and the Marlies’ top point-scorer so far this season Brendan Leipsic, are all included in the RFA category and must be offered contracts or qualifying offers if the Leafs hope to keep them on board next season. So which players will the Leafs hold on to and what will they do with the rest? Of the 21 Free Agents, the Leafs could attempt to keep at least half of them for various reasons. Players such as Hyman, Brown and Nikita Zaitsev are guaranteed to be kept, while others such as Bibeau, Leipsic and Garret Sparks should be considered strong candidates for new contracts from the Leafs. Peter Holland, Frank Corrado, Enroth, Andrew Campbell and Seth Griffith could also find themselves with new contracts, but they are probably less convincing. Corrado has not played a single game this season, much to the annoyance of Leafs fans, and could find himself on the bubble if Mike Babcock isn’t willing to give him many opportunities. Enroth, Holland and Griffith will have to prove themselves to the Leafs management if they want to be offered a new contract but due to their ages and roles on the team, that should seem fairly likely. Campbell is currently the Toronto Marlies captain and holds an important role for the Leafs’ AHL affiliate, which will likely be offered another contract with the view of him continuing his role in the AHL. These players are not necessarily all going to receive contract offers from the Leafs, and there may even be more players not mentioned here that receive offers. But these are the players I believe have the best chance of being kept without being shopped by the team. Part 2 will look at the players the team may attempt to trade before the deadline. Want more Toronto Maple Leafs news and opinions? 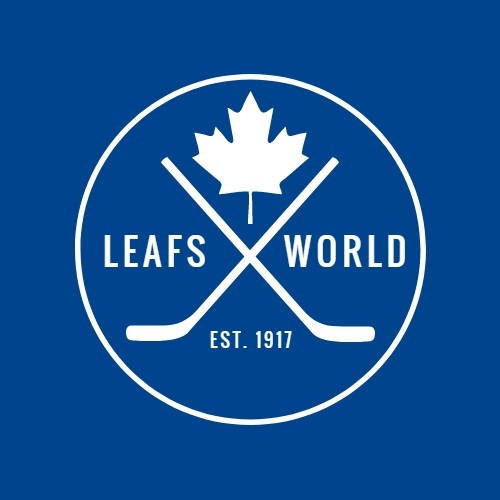 Follow us on Twitter @LeafsWorldBlog!